"A novel about a young New Yorker’s search for happiness and the two dogs who help him find it." Thankfully, with Rosoff’s talent, what could be a yet another novel of millennial existential angst is transformed into a delightful literary romp. Adding zest to Jonathan’s journey is a British vet named Dr. Clare, a surprise wedding, a man crush and an elicit doggie love affair. There is a lyrical cadence to Rosoff’s prose. You almost hear it while reading, as though the tale is being told to us. There is nothing extraneous about this book, from the choice of words to the supporting characters; each and every one feels needed. Rosoff animates these animals with a sense of personality that any dog-owner should recognise ... Jonathan is prone to cartoonish flights of fantasy that throw his breakdown on the day of the wedding into frightening relief. The only slight disappointment is that such exuberant invention is ultimately placed at the service of a sentimental, romcom resolution ... If Rosoff’s adult fiction turns out to be indivisible from her teenage fiction, it’s because she continues to patrol the perilously ill-defined border between the two. This is not one of those cute talking dog books; these dogs are subtle. We are not privy to their thoughts, just their actions. 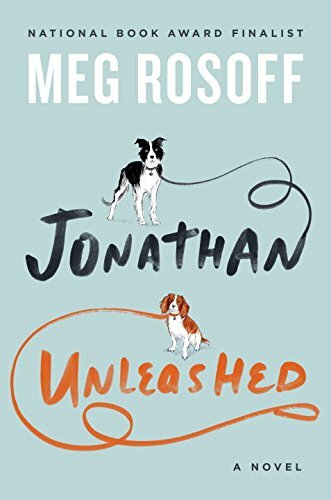 They remain distinctly doglike even as they gently herd Jonathan toward a happier existence ... [Rosoff] explores the compromises and decisions we make trying to fit into our lives with wisdom, a light touch and a lot of humor. And dogs! 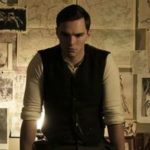 What did you think of Jonathan Unleashed?